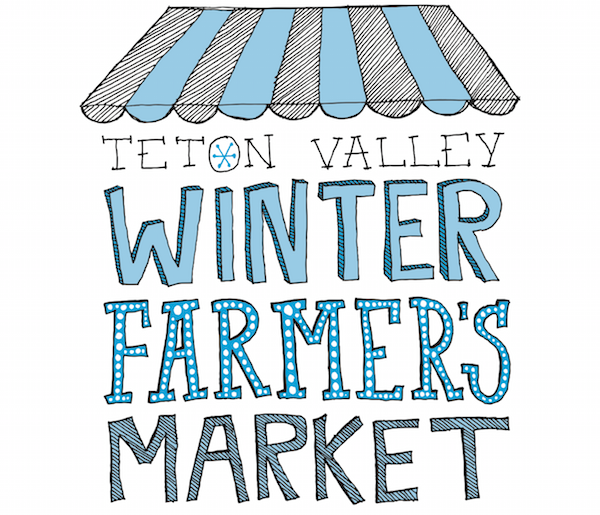 We will be hosting the first ever Winter Farmer’s Market beginning on January 3rd. Kick off the New Year in our heated greenhouse with hand-made soaps, jewelry and accessories. Fill your tummies with tempting baked goods, locally made cheese, preserves and locally raised beef, pork and lamb. The first Winter Market day will feature live music from the Miller Sisters. Be sure to mark your calendars, the Winter Market will continue on the first and third Saturdays of the month through March from 10:00-2:00. Our annual after-Christmas sale will continue through January 10th. 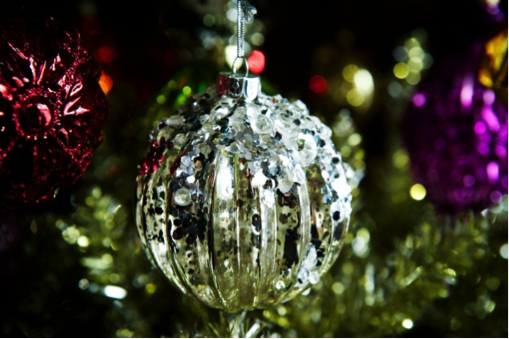 Save 50% on all holiday décor, garland, Christmas lights and tableware. Take advantage of great prices and stock up for next season. The gift shop and Marigold Café will be closed from January 12th– 15th for inventory. We will return to our regular winter hours on January 16th. 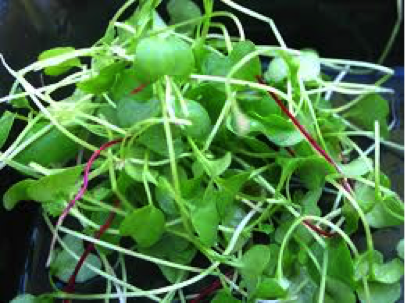 Micro greens are the tiny edible shoots of vegetables that are harvested when their first leaves appear, usually when they’re 7-14 days old. These delicate greens pack a nutritional punch for their size, containing up to four times as many nutrients as their full grow counterparts. Micro greens liven up omelets, soups, salads or stir fries with color and fresh flavor. These are easy to grow and make for a fun indoor gardening project any time of the year. Any salad green can be used as a micro green. Arugula, kale, beets, radishes and lettuces are all great choices. We stock Botanical Interests™ Micro Greens seeds. With helpful instructions and recipes on the packages, these are a great choice for beginners. Try the Savory Mix, Red Winter Kale or Pea Shoots. To grow micro greens, start with a clean plastic seedling tray or re-use a plastic container from a store bought salad mix. Ensure the tray has some holes in it for drainage. Fill with about two inches of seedling or potting mix. Sprinkle the seeds evenly over top and cover with another 1/8 inch of potting mix. Keep the tray in a bright spot indoors and keep soil bed evenly moist but not soggy (a plant mister works well). Use scissors to snip off the leaves when they are 1-2 inches tall. Fresh, home-grown micro greens will surely perk up any meal. House finches are native to the western US. They make their home year-round in the Tetons. These birds are about the size of a sparrow and have a stout triangular beak. The males have a rose-colored breast and head whereas the females are streaked grey and brown. These are very gregarious birds and will readily visit a birdfeeder, especially when sunflower seeds are on the menu. When they are not perched on a feeder, they feed on the ground, on weed stalks and in trees. They will nest just about anywhere sometimes using abandoned homes of other birds. Each mating pair raises one to three broods each spring. 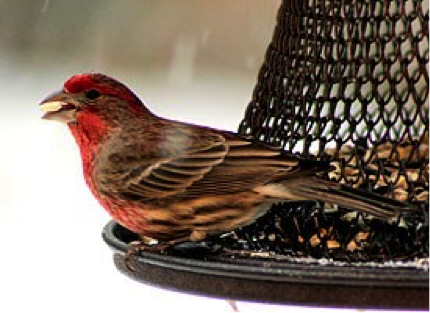 Simply setting out a feeder and some seeds will provide you with hours of backyard entertainment through the winter. 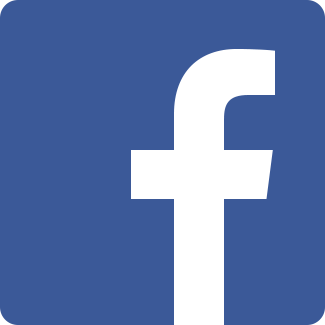 Copyright © 2015 MD Nursery & Landscaping, All rights reserved.